November 25th is the United Nations (UN) International Day for the Elimination of Violence against Women. As part of the 2015 campaign, the UN has declared 16 Days of Activism against Gender-Based Violence to raise public awareness and mobilize people worldwide to bring about change. This is complimented by the “Orange the World” initiative, where people are encouraged to wear and display the colour orange to symbolize a brighter future without violence. Orange events have been planned worldwide over the 16 days. Here in Canada, Niagara Falls will be lit up in orange as part of the initiative. Dalhousie has a number of events happening over the next 16 days, which are listed here. 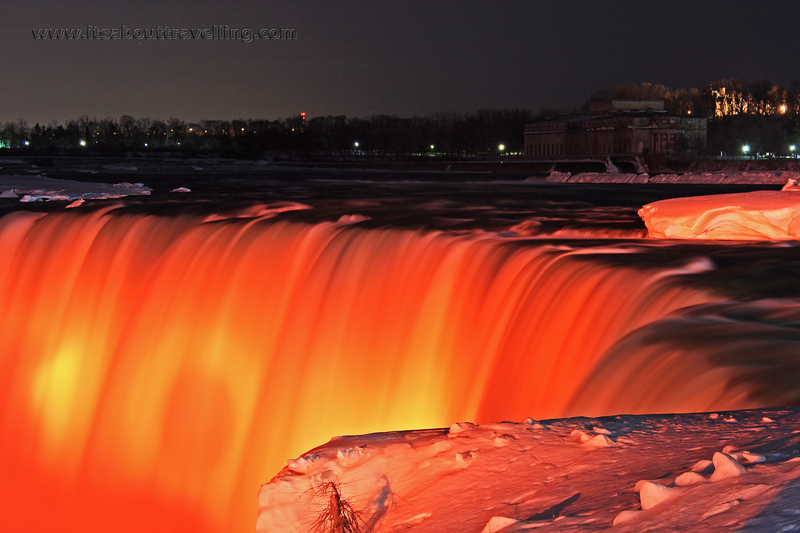 Niagara Falls illuminated in orange. Violence against women is a different type of epidemic than those we are used to talking about in global health. Forms of violence include physical, sexual and psychological. Unlike illness, violence in society is a choice. As such, society can choose to prevent and stop violence against its all of its members. Violence against women is a complex societal problem, with no single reason to explain why it occurs. The 2015 theme is prevention, which requires engaging many sectors, actors and stakeholders according to the UN (1). According to the UN, 1 in 3 women worldwide have experienced physical or sexual violence, mostly perpetrated by an intimate partner (2). Furthermore, in 2012, 1 in 2 women killed worldwide were killed by their partners or family. This is contrasted by the fact that only 1 in 20 men killed worldwide were killed in such circumstances (2). The incidence of violence against women can vary by sexual orientation, disability status, ethnicity and contextual factors (such as conflict and post-conflict situations). For example, in 2014 in the European Union, 23% of women of non-heterosexual orientation indicated having experienced physical and/or sexual violence at the hands of non-partner perpetrators (of any gender). This is compared to 5% of heterosexual women experiencing non-partner violence (3). Transgender women are also disproportionately affected by violence (4). Little data on psychological violence against women is available on a global scale. These data also vary due to differing interpretations of psychological violence across countries and cultures. High prevalence rates have been observed in the 28 European Union Member States, where 43% of women say they have experienced some form of violence by an intimate partner in their lifetime (3). Other examples of large-scale violence against women include human trafficking, where 98% of victims are women and girls, and female genital mutilation, which 133 million girls and women alive today have undergone in 29 countries in Africa and the Middle East where the practice is most common (2). Although they are shocking, these statistics are most likely underestimates, as women may fear stigmatization when reporting both partner and non-partner violence. Less than 10% of women seeking help for experience of violence appealed to the police (5). The World Health Organization (WHO) in collaboration with the London School of Hygiene & Tropical Medicine and the South African Medical Research Council produced a 2013 report on global estimates of the effects of violence against women. This report found that 42% of women who had experienced physical or sexual violence at the hands of a partner had experienced injury as a result. Women who had experienced intimate partner violence were almost twice as likely to experience depression and alcohol-use problems when compared to women who had not experienced any violence. Depression and alcohol disorders are even more prevalent in women who experience non-partner sexual violence (6). Other possible impacts on health include increased suicide risk, gynaecological problems and post-traumatic stress disorder. Women may also suffer isolation, limited ability to care for themselves and their children, inability to work, loss of wages and lack of participation in regular activities – leading to significant social and economic costs (7). In high resource countries, school-based programs to prevent partner violence have shown some effectiveness; however, these programs have not yet been assessed for use in resource-poor settings. Other primary prevention strategies include early education strategies, combining micro-finance with gender equality training, promoting communication skills within couples and communities and addressing and changing gender norms. The effectiveness of these programs also must be evaluated (7). Laws and policies must be in place to protect and support women worldwide. So far, only two thirds of all countries have outlawed domestic violence. 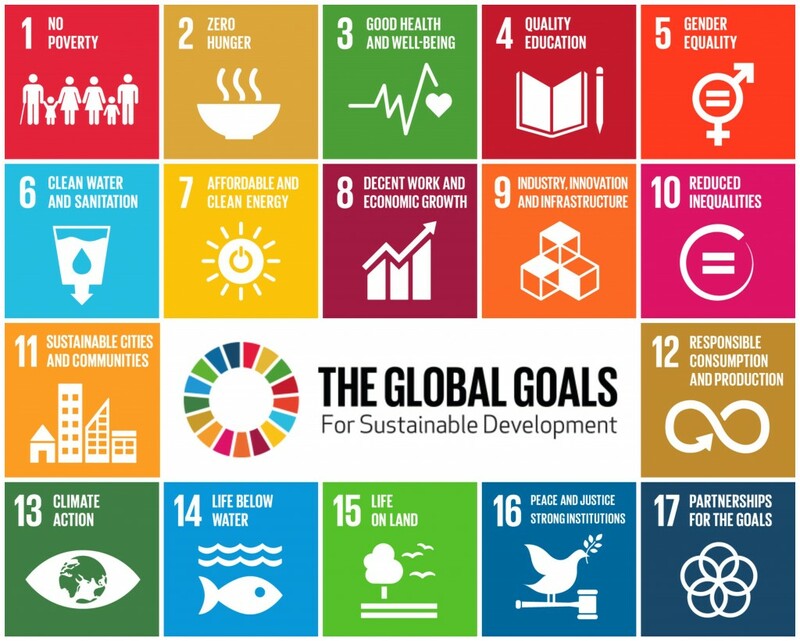 Legislation and policies must address discrimination against women, promote gender equality, support women and facilitate more peaceful cultural norms. The harsh reality is that gender-based violence is an on-going global problem, and that more needs to be done to ensure that this global epidemic is eradicated. For more reading on how to put an end to violence against women, the IDRC has published an article (link below) compiling views of staff and researchers entitled “Ending violence against women” that I would recommend (8). UPDATE: See http://www.cbc.ca/missingandmurdered/ for information on missing and murdered indigenous women in Canada. A 2015 UN report found that young aboriginal women are 5 times more likely to die under violent circumstances, and that rates of violence are 3.5 times higher than among non-aboriginal women (9). United Nations Women. Prevent violence against women. 2015. Available from: http://www.unwomen.org/en/news/in-focus/end-violence-against-women. European Union Agency for Fundamental Rights. 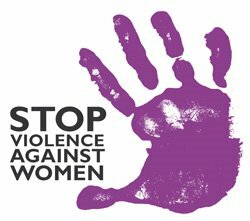 Violence against women: an EU-wide survey – Main results. 2014. Available from: http://fra.europa.eu/sites/default/files/fra-2014-vaw-survey-main-results-apr14_en.pdf. Office for Victims of Crime. Responding to transgender victims of sexual assault. 2014. Available from: http://www.ovc.gov/pubs/forge/sexual_numbers.html. United Nations Women. Facts and figures: Ending violence against women. 2015. Available from: http://www.unwomen.org/en/what-we-do/ending-violence-against-women/facts-and-figures. World Health Organization. Global and regional estimates of violence against women: prevalence and health effects of intimate partner violence and non-partner sexual violence. 2013. Available from: http://apps.who.int/iris/bitstream/10665/85239/1/9789241564625_eng.pdf. World Health Organization. Violence against women: Intimate partner and sexual violence against women. 2014. Available from: http://www.who.int/mediacentre/factsheets/fs239/en/. International Development Research Centre. Ending violence against women. 2014. Available from: http://www.idrc.ca/EN/Resources/Publications/Pages/ArticleDetails.aspx?PublicationID=1133. CBC News. Missing and murdered: Unsolved cases of indigenous women and girls. 2015. Available from: http://www.cbc.ca/missingandmurdered.